Fireline’s New ionizer Collection™ presents a modern day approach to electronics restoration, making it affordable and convenient for restorers to add this profitable service business to their list of offerings. The ionizer’s innovative breakthrough design is unique in that it eliminates the need for expensive facility renovations. Unlike standard systems on the market the ionizer electronics restoration system is totally pneumatic, requiring no floor or wall drains, no water hook ups and no electrical outlets. The ionizer is equipped with an oversized turntable and removable containment shroud allowing for the cleaning of extra-large/over-sized electronic items. 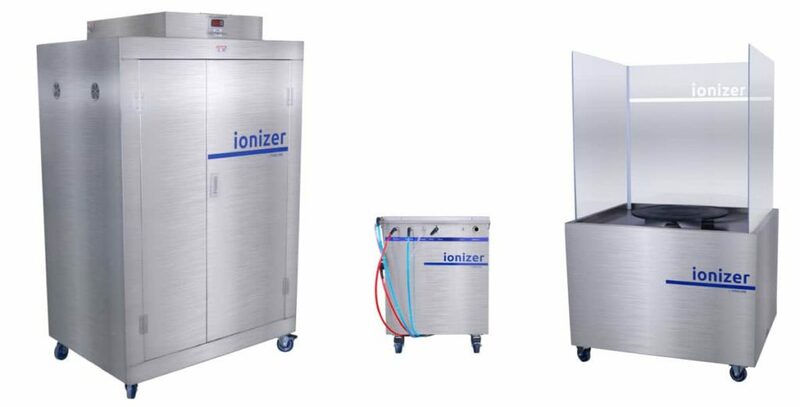 The ionizer is ideal for onsite commercial and residential cleaning applications requiring only a portable compressor to activate the cleaning process. A growing number of restoration companies are now offering in-house electronics restoration. Fireline™ provides restorers with onsite training and education, presenting failsafe methodologies that are relevant to today’s electronic component market.